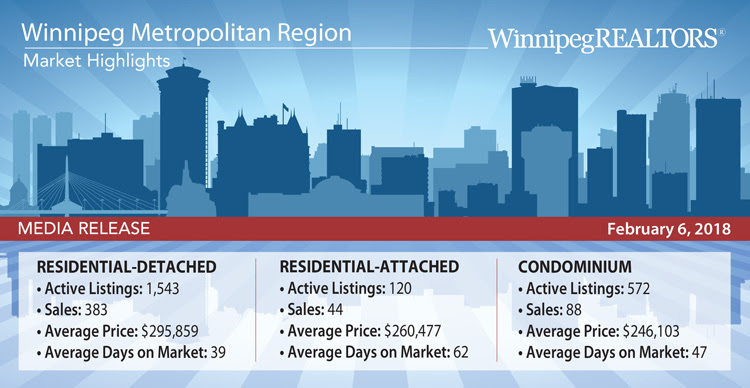 WINNIPEG - It is often said that Winnipeg’s real estate market is steady and stable. January exemplified this description by delivering a repeat performance from January 2017. It was uncannily similar in total MLS® sales, active and current listings, and dollar volume. MLS® sales of 571 and dollar volume of $156 million are both up less than 2% over January 2017. 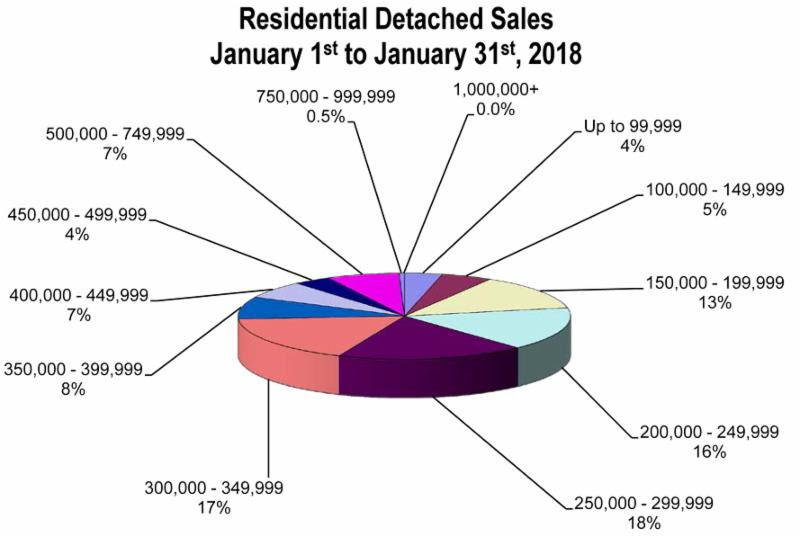 The inventory of 3,096 listings is almost identical to 2017 and current listings entered onto MLS® in January were just under 1,500 in comparison to 1,502 last year. When you look closely at the MLS® property types a few differences emerge. The inclement weather may in fact have something to do with slower rural sales activity in residential-detached sales as they were down 12% in comparison to January 2017. Condominiums which had a strong start in 2017 were not quite as robust this year, though in line with the 5-year average of 90 sales. Other property types made up for slower residential-detached and condo sales with some significant double-digit increases over January 2017. Of note were duplex sales increasing 44%, single-attached sales up 35%, and vacant land transactions rising 53%.